The best first: Why does the giraffe have such a long neck? Because its feet smell really bad. What does a snail say when he finds himself on a turtle’s back? What is the best season to jump on a trampoline? A prisoner is finally released, after many years in jail. He stands at the pavement, yelling, "I'm free! I'm free!" A little kid walks up to him happily and joins, “I’m four! I’m four!" Two ants want to fight an elephant. 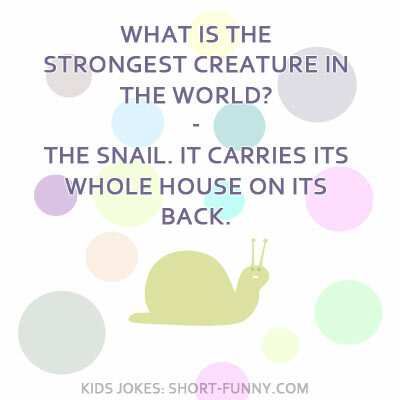 What is the strongest creature in the world? The snail. It carries its whole house on its back. I’m still not sure whether to buy this house. It’s really nice and everything but I heard it’s haunted. Pishposh. I’ve never seen any ghosts here, and I’ve lived in the neighborhood for 500 years! Four elephants go for a walk on a stormy day. They only have one umbrella between them. How come they none of them get wet? Well did anybody say it was raining? 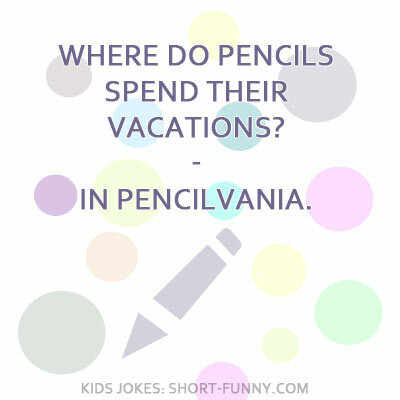 Where do pencils spend their vacations? A guy comes to his doctor: “Doctor, please, every time I say 'Abra Kadabra,' people disappear." A child comes home dripping wet. Mother: What on earth were you doing?! Kid: We were playing dog with my friends and I was the tree. 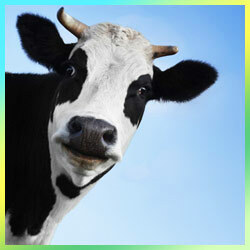 Question: Why did the cow cross the road? Answer: It wanted to go to the mooovies.